I love having lots of choice when it comes to my makeup brushes - I don't have the best natural skill when it comes to applying makeup, so I feel like having the right tools really helps me out. 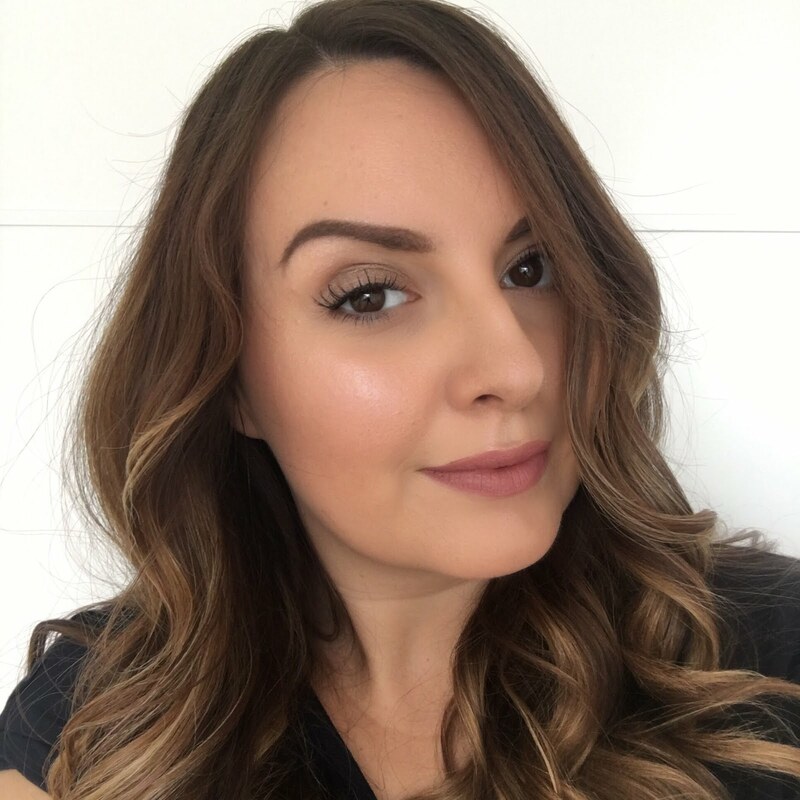 As my boyfriend would say, I'm all the gear and no idea! 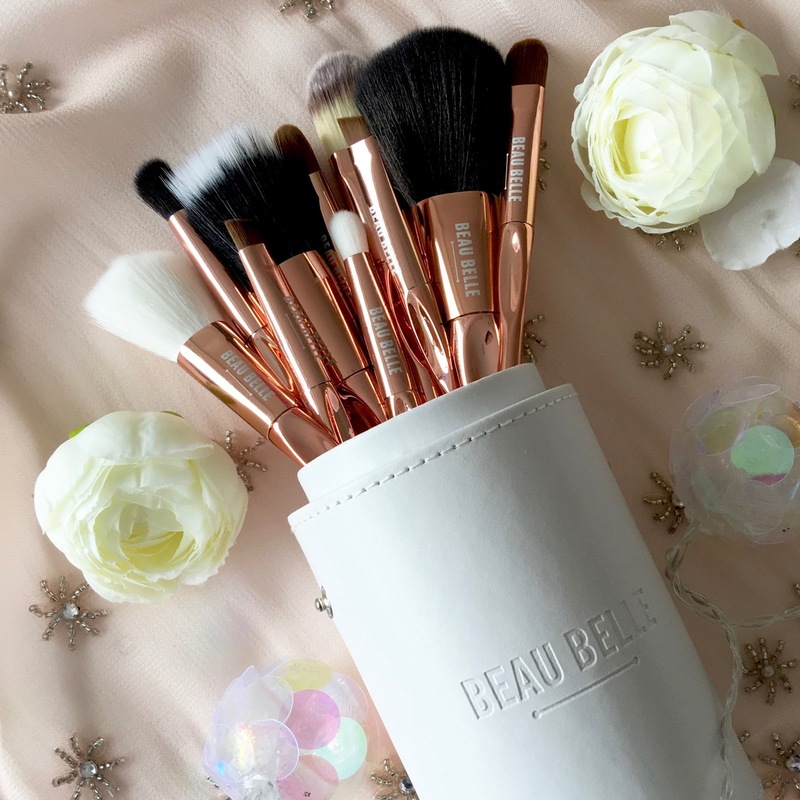 That's why I love brush sets, as you get a variety of different brushes to play around and experiment with, and of course just because that one brush says it's for blush doesn't mean you can't use it for foundation or contour if that's what works for you. In this set you get ten different brushes covering all bases for eyes and face. 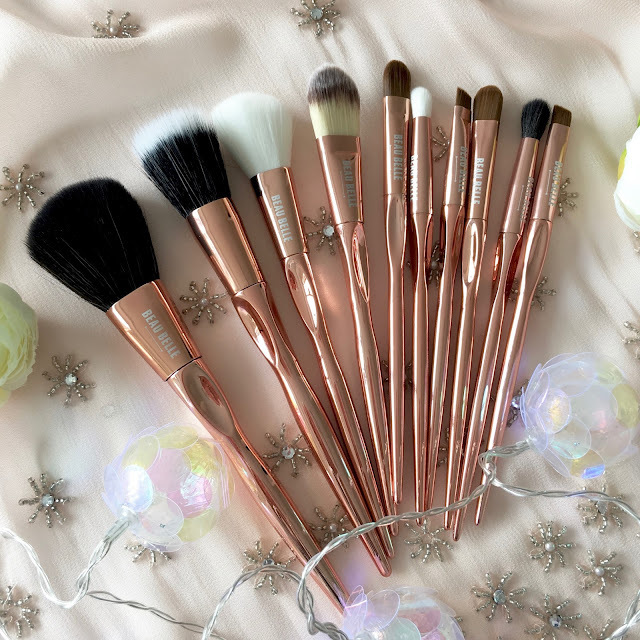 They're synthetic brushes, so suitable for vegans and they feel lovely and soft. The long handles are indented to give you a good grip, and they're not too heavy either. 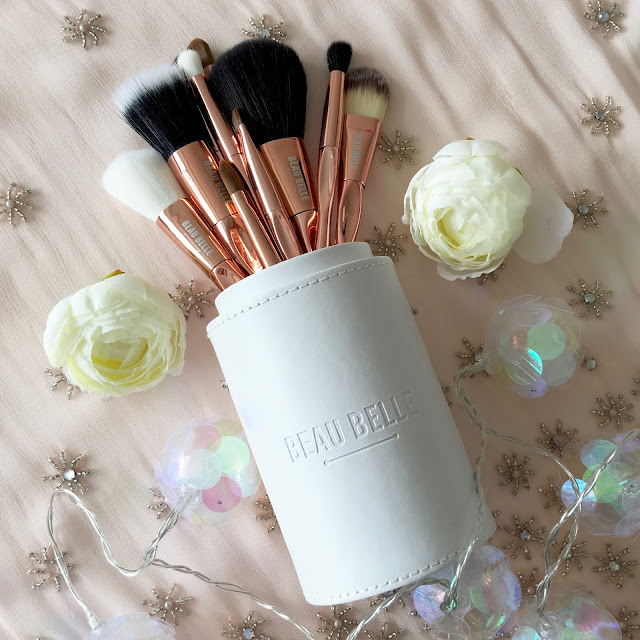 The whole set comes beautifully packaged in a white case which is in two halves - it'll store your brushes safely for travel, or the two halves can be used as brush pots for your dressing table too. 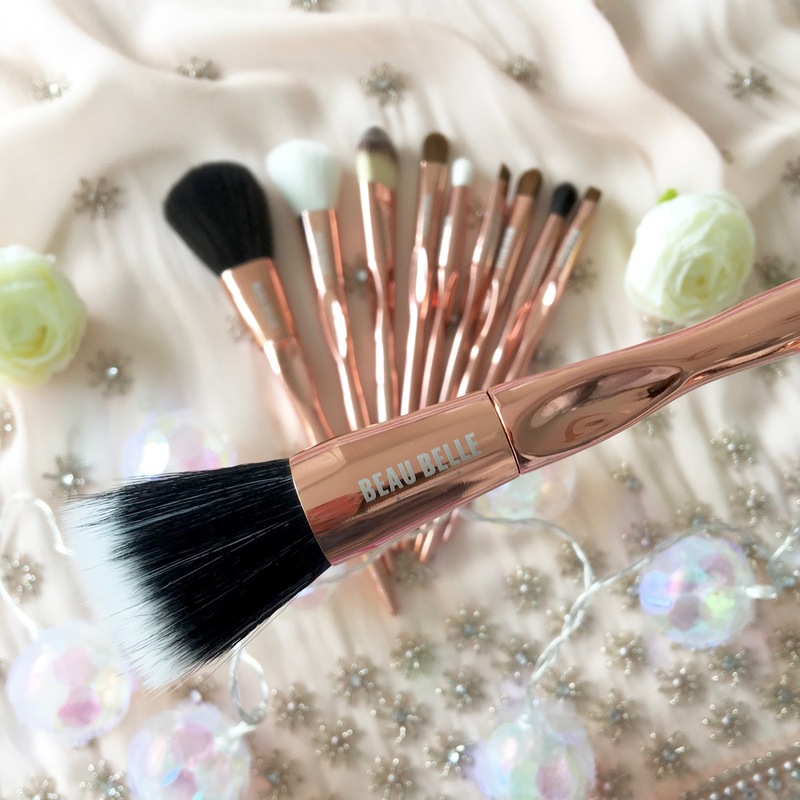 There's a big fluffy brush which I use for a bit of everything including powder, blush and bronzer, or if I'm feeling slightly more fancy there's a stippling brush and an angled contour brush too - that's the one I'd reach for for contour or blush actually. 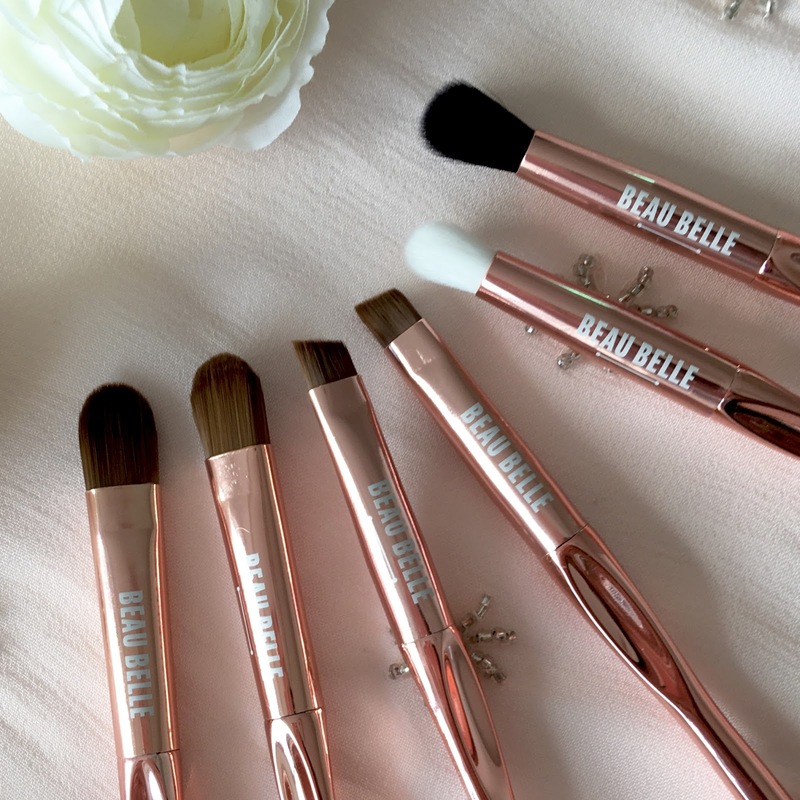 The flat foundation brush isn't really my cup of tea, but these brushes actually come in really handy for applying face masks - don't knock it until you've tried it! 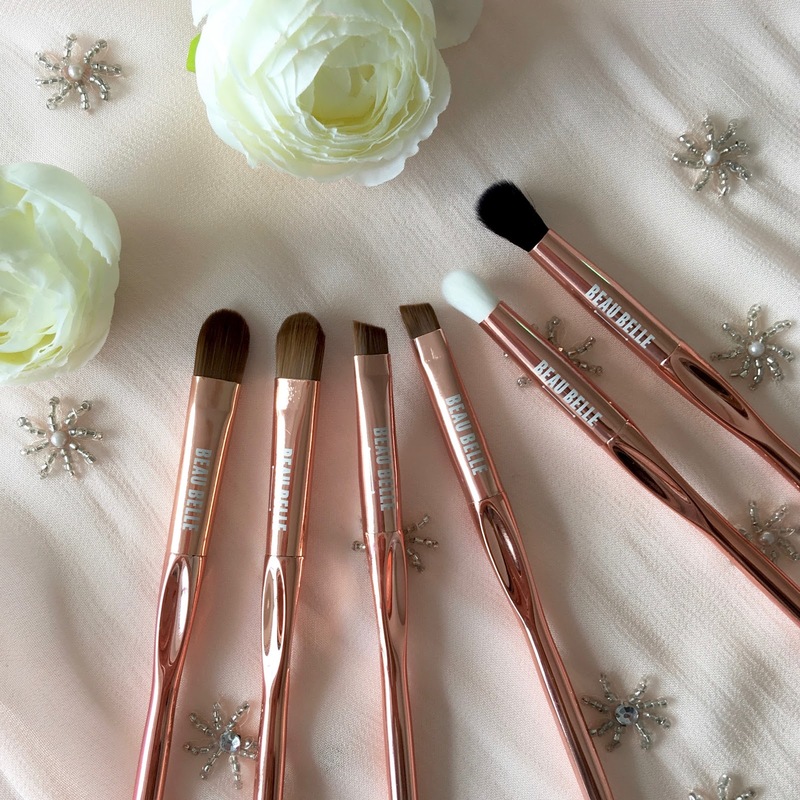 There's a great selection of eye brushes with the kit too - flat, fluffy, domed and angled - they have you covered for eyeshadow and brows too. 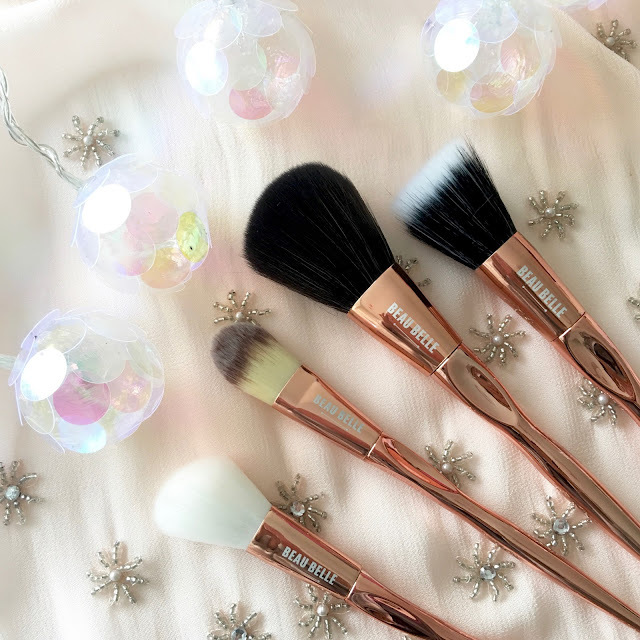 I really like the black fluffy brush and the white domed brush for a beautifully blended eye look with a blown out crease. The stiffer angled brush is ideal for my brows and I've also been using one of the flatter brushes for concealer. 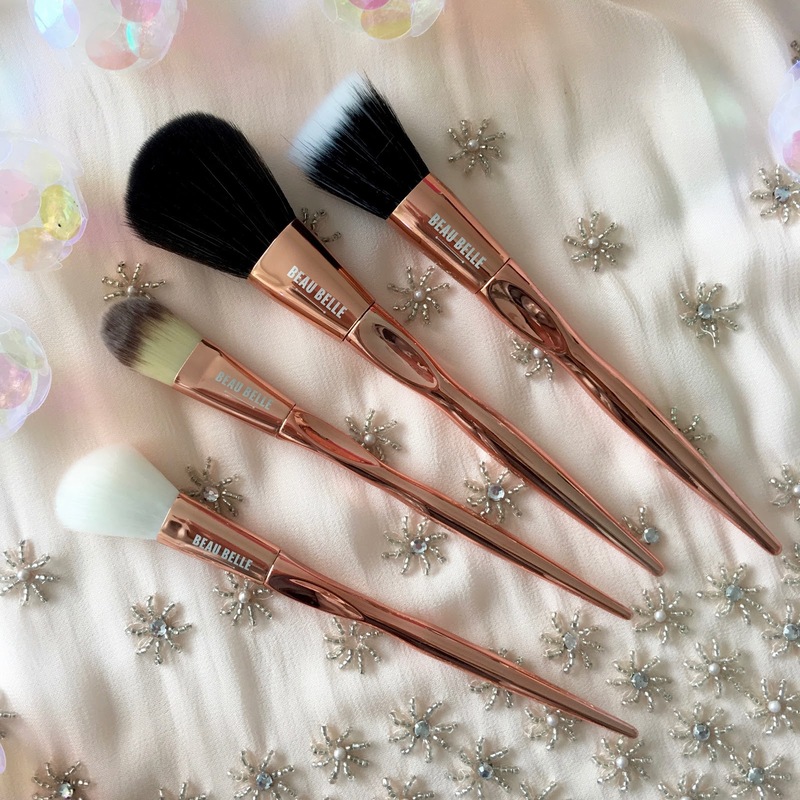 I'm really happy to have added this brush set to my collection and will certainly be taking these away with me in the handy little travel case. The set of ten brushes with the case costs £59.95 with free delivery, which I think is a pretty fair price for the brushes you get here. 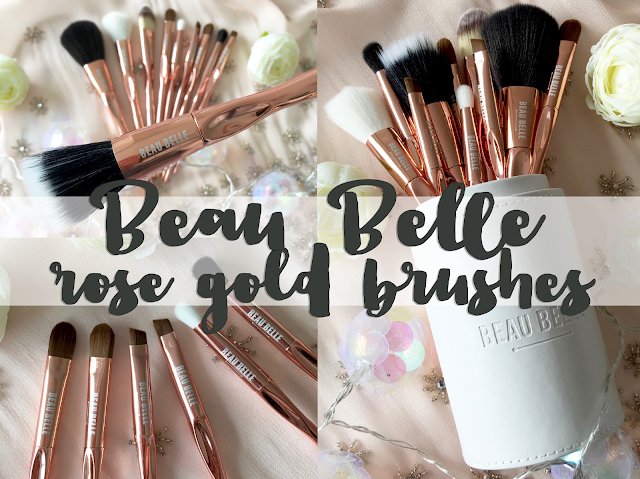 Technically it works out at around £6 per brush and I'm happy with that - I always struggle to bring myself to pay £20 for a single brush and much prefer sets as it feels so much more economical.